Care has no boundaries, and so a unique appliance control system ensures that you can manage and secure your home, no matter where you are. It allows you to remotely control home appliances such as microwave oven, washing machine and geyser, and make home management amazingly easy. Through the appliance control system, specified devices can be switched on and off remotely, drawing up to 16 amp current and yet, keeping your home safe and well managed, even when you are not around. What are the different types of Home Security Systems? What is a Video Door Phone? How does it help protect my family? A Video Door Phone allows you to see who’s standing at your doorstep and communicate with them before you let them in. It comprises of two parts. An outdoor camera that captures the image of the person at the door and an indoor monitor that displays the image of the person at the door. It allows audio and video communication. 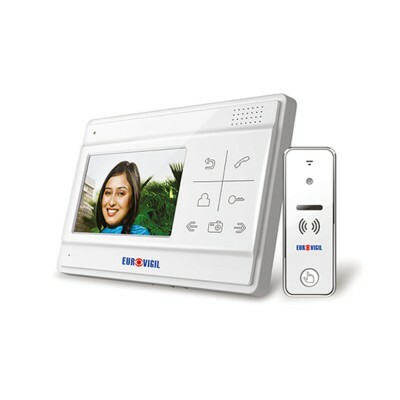 Video Door Phones can also be connected to an electronic door lock and can be used to open doors remotely. What is an Intrusion Alarm System? An Intrusion Alarm System monitors your home or office 24X7 and helps detect break-ins. It also detects fires and gas leaks and informs the Central Monitoring Station. What's more, you and your neighbours are alerted immediately. It comprises of a control panel and various detectors that are connected to the control panel wirelessly or with a wire. The various Detectors are : •	Motion Sensors : Detects motion in protected areas. 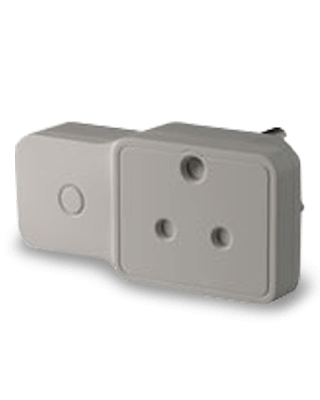 •	Magnetic Contacts : These are position sensors which can be installed on doors, windows, cupboards, air-conditioner ducts, safes and rolling shutters. •	Gas Leak Detector : This detector senses LPG gas and potential fire hazards and sends out an alarm before they turn unmanageable. 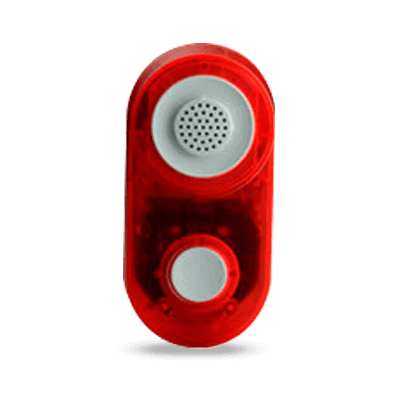 •	Smoke Detector : Detects smoke and alerts occupants. •	Glass Break Detector : Detects the sound of breaking glass. •	Panic Switch : This switch alerts the Central Monitoring Station in an emergency, and can send the police, fire department or medical services to the rescue. What is a Central Monitoring Station? Security systems send signals over your telephone line to a central monitoring station which is a facility that acts as the link between your home and the police, the fire department and emergency response authorities. A central station is manned 24 hours a day, 7 days a week by highly skilled operators who are trained to respond to emergencies. The station operator alerts the authorities and dispatches help. What is a CCTV System? A CCTV system helps in surveillance, monitoring and crime detection. It transmits television signals over cables without broadcasting through the air. 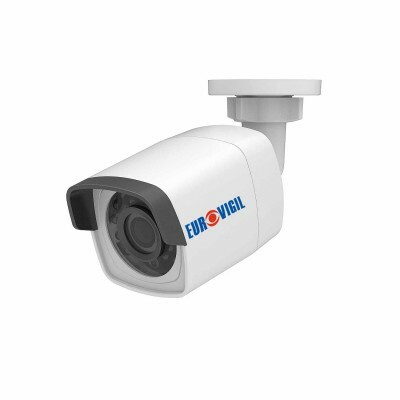 Components of CCTV system •	Cameras : To capture images •	DVRs or Digital Video Recorders : To record, process and playback the images captured by the cameras. •	Monitors : To display the images. A CCTV system can operate continuously or be used for a particular time period. What is an Access Control System? 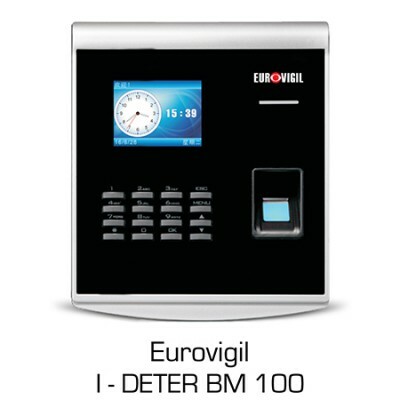 An Access Control System provides access to authorised personnel. It may record and report which person entered or left the facility. It indicates which door or area was accessed while within the facility. It also indicates the time at which each event occurred. Components of Access Control System •	Controller : It is the main processing unit. •	Access Control Reader : It reads the credentials from an access card and allows access through control points, typically a locked door. •	Proximity Card : It incorporates a radio frequency through a small chip embedded within, which emits the frequency that is recognized by the proximity card reader. •	Electromagnetic Lock: It is a device used to control the access through a door. What is a Biometric Door Lock? A Biometric Door Lock allows you to safeguard and protect your property without using a key to lock and unlock your door. Only someone with authorized access can successfully pass a biometric reader.